Overland Park, Kansas, January 22, 2016 – Bluewater, a global leader in residential water purification, has donated two of its highest-performing, lead-removing water purifiers to Flint, Michigan, for use in community care centers helping thousands of residents in the crisis-hit city of 100,000 people. 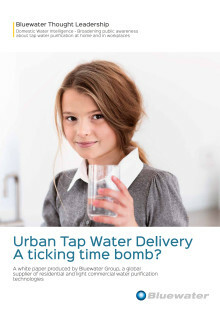 “A Bluewater Pro range water purifier easily generates 52 gallons of totally clean, healthier tap drinking water every hour, 24/7,” said Lin Guo, Bluewater Inc National Representative. She said that that Bluewater efficiently removes all traces of toxic metals such as lead as well as chemicals, microorganisms and pharmaceutical by-products. One Bluewater Pro unit is now being used at Catholic Charities’ North End Soup Kitchen (NESK) where daily hot meals and sack lunches are prepared and served to the poor, homeless and vulnerable daily, while a second has been installed at the Shelter of Flint, a program providing emergency shelter, transitional housing and outreach services. 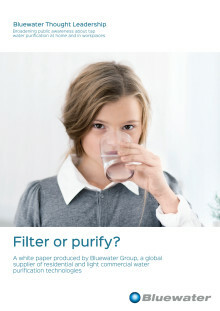 Bluewater’s compact water purifiers harness patented second-generation reverse osmosis technology innovated in Sweden and designed for use in home and commercial environments, including schools, hospitals and restaurants. Bluewater’s patented filtration technologies capture practically everything down to 0.0001 micron (that’s 500,000 times less than the diameter of a human hair, and can deliver 1,248 gallons of purified water per day, which equals 4,726 one-liter (33.8 fl.oz) bottle of water over 24 hours. Using 82% less water than a traditional reverse osmosis water purifier, Bluewater’s patented technology is designed to remove lead from tap water. During the crisis in Flint increased levels of the toxin has sparked complaints from residents of discolored water, headaches and skin rashes and increased fears of longer-term health issues. “The donation from Bluewater of a Bluewater Pro is a blessing and true gift that is something to celebrate, especially now during the Flint water crisis,” said Vicky Schultz, President and CEO at Catholic Charities. 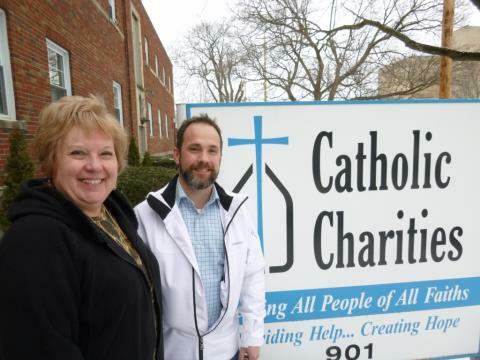 Started in 1941, Catholic Charities of Shiawassee and Genesee Counties serves as a hub of supportive serves for the financially distressed community, supporting homeless, children, elderly and adults alike, with more than 185,000 free meals a year. “Flint has been struck by a real tragedy and at Bluewater we want to do all we can to help the residents combat the health challenge that has been thrust upon them,” said Ms. Guo. Sold in major markets around the world, Bluewater SuperiorOsmosis™ patented technology delivers on-demand cleaner, healthier water direct from the tap. 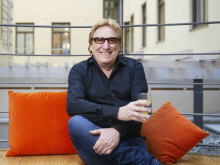 Innovated with love in Sweden, Bluewater water purifiers improve user quality of life, health and wellbeing by removing practically all known contamination from drinking water, including micro-organisms, pesticides, heavy metals and toxins. Bluewater™ is the registered trademark of Blueblue AB, a company registered Sweden.